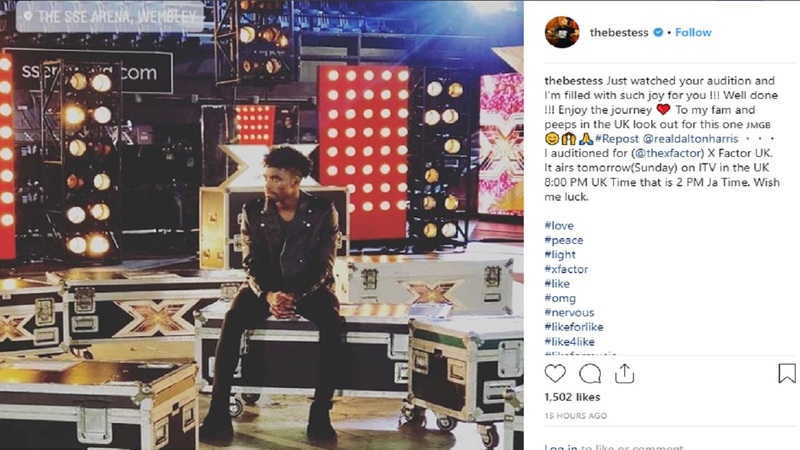 After a virtuoso performance during the auditions for the 15th season of X Factor, Jamaicans are excited that singer Dalton Harris has won himself a place in bootcamp. 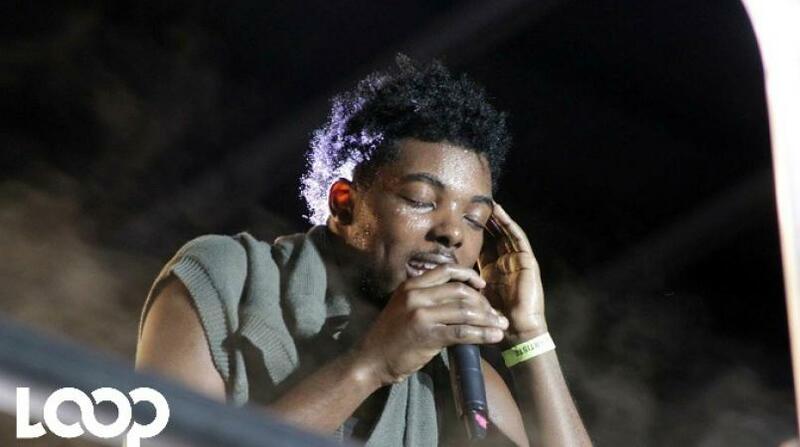 Harris' manager Donovan Germain believes that the artiste's appearance on such a prestigious show is a validation of his talent and an indictment against the close-mindedness and myopic tendencies of Jamaican radio personalities. "It has taken four white people to say that Dalton Harris has talent, while he is largely ignored by Jamaican radio. There are songs available, but he has not been getting the love he deserved," Germain told Loop reporter Claude Mills. "That's why I encouraged him, I told him that the world is a smaller place because of the Internet so he stayed in his room and searched and he got his chance and he is taking it. It is sad because when things happen in music, 90 per cent of the time it happens outside of Jamaica, and then we react to it." 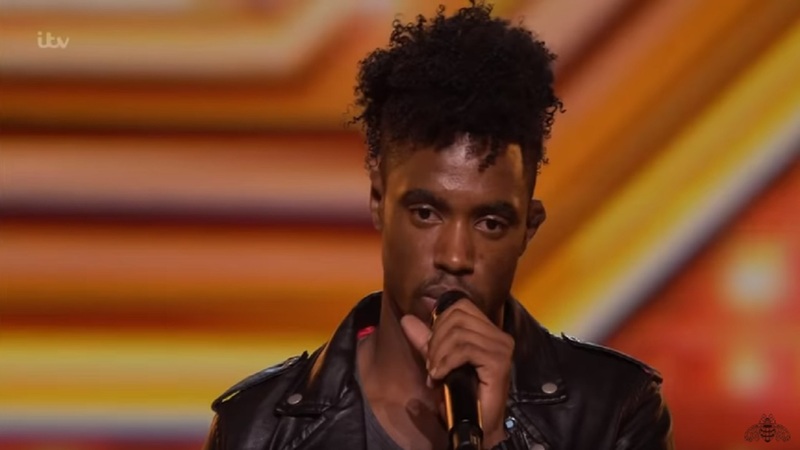 Emotions ran high during Sunday night’s show as Harris overcame stage jitters to perform an Elton John classic, 'Sorry Seems To Be The Hardest Word', and impress the judges. Harris wowed the judges as he got standing ovations from both Ayda Field and Simon Cowell, but became visibly emotional towards the end of his performance. Asked to explain why he had become so upset, Harris said: "I’ve been on my own since I was 15, but I’ve accepted it – it’s not a sad story, it’s just been a lot…it’s been a long time." 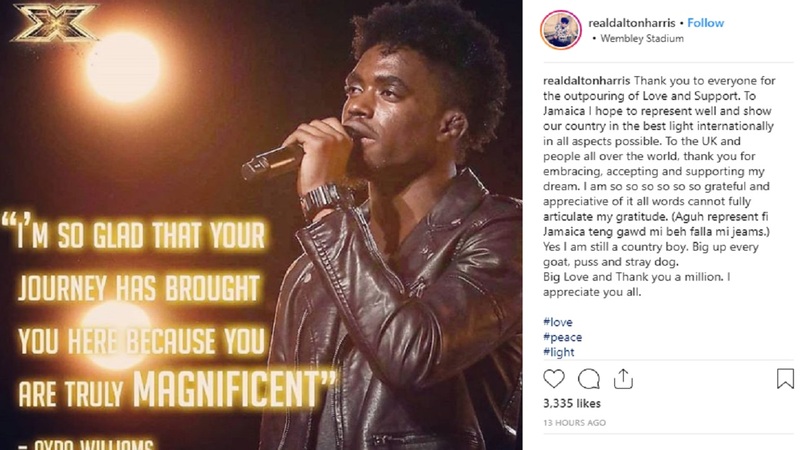 In a post on Instagram, he thanked his fans for the outpouring of support – and vowed to represent Jamaica well. “To Jamaica I hope to represent well and show our country in the best light internationally in all aspects possible. To the UK and people all over the world, thank you for embracing, accepting and supporting my dream. I am so so so so so so grateful and appreciative of it all words cannot fully articulate my gratitude,” Harris said. Harris' raw emotions prompted both judges Field and Louis Tomlinson to get up on stage and hug him as he fought back tears. Earlier, the 24-year-old had shared with the judges that he grew up in a one-room house without the amenities of light and water. 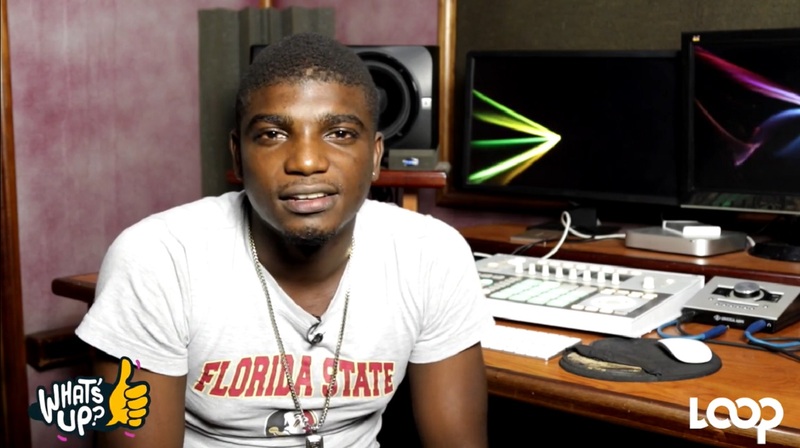 Harris overcame the odds to win the popular Digicel Rising Stars title in 2010 when he was only 16 years old, but he has had a difficult time since dropping out of school - before Donovan Germain became his mentor and manager. Germain would not say much about Harris' progression in the contest, adding that "contractually we can't talk about anything to do with the contest". "I only hope that Jamaican radio can learn that when a youth has talent, you have to give him some love. I have almost three albums with him, and he is not any dibby dibby, run of the mill talent, his songs stimulate the mind," Germain said. Jamaican songstress and the Voice winner, Tessanne Chin also extended congratulations to Harris on Instagram. 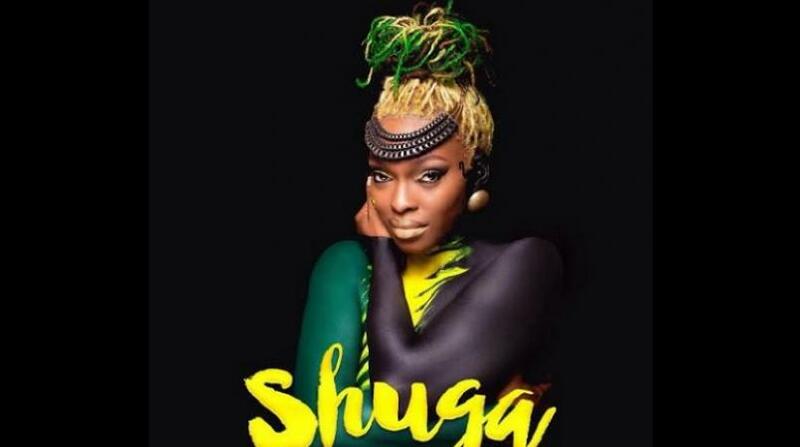 Former Rising Stars Winner Shuga Drops New Single "Caribbean People"